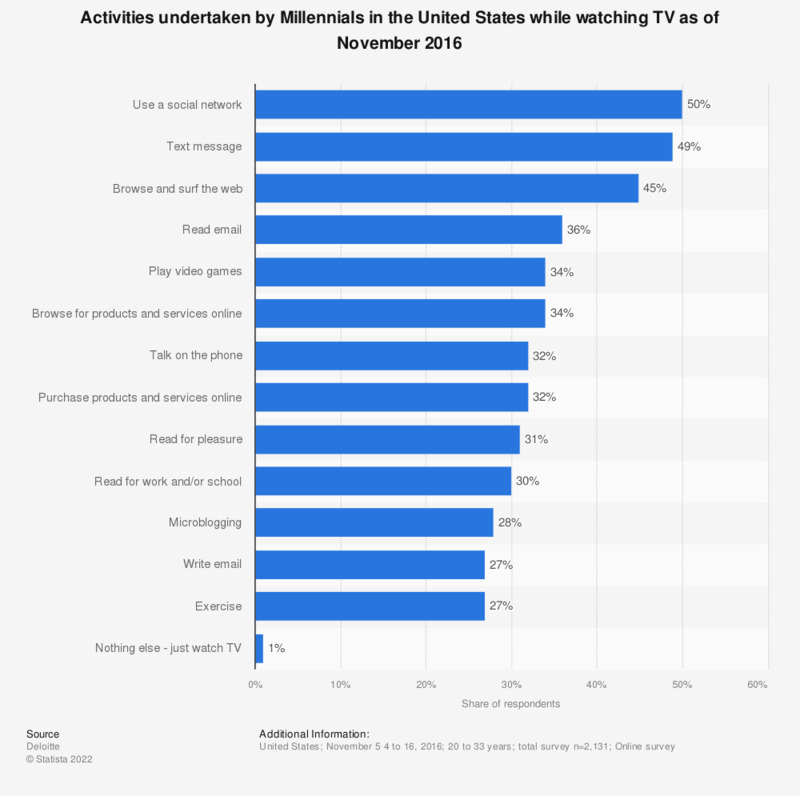 This statistic shows the results of a survey among U.S. Millennials regarding the usage of their devices while watching TV. During the November 2016 survey, it was found that 45 percent of Millennials surfed the web while watching TV. The original question posed by the source was: "Which are things you typically do while watching your home tv?"